Serial 31635 Has a chrome TA handle and round leveling rods still a Blackstripe ?Suppose to be original paint .I was under the impression they had square leveling rods .But my 766 has round ? 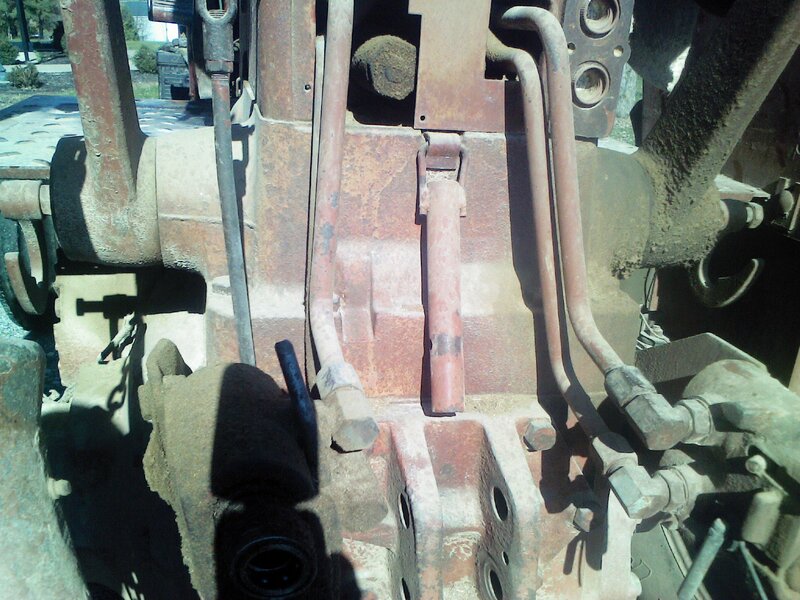 Can't blow the pic up but it has the right axle housing casting (for cab mount) on right side and the beveled spot on hitch housing for the oil fill / dipstick location that was soon to be introduced on the 86 series. 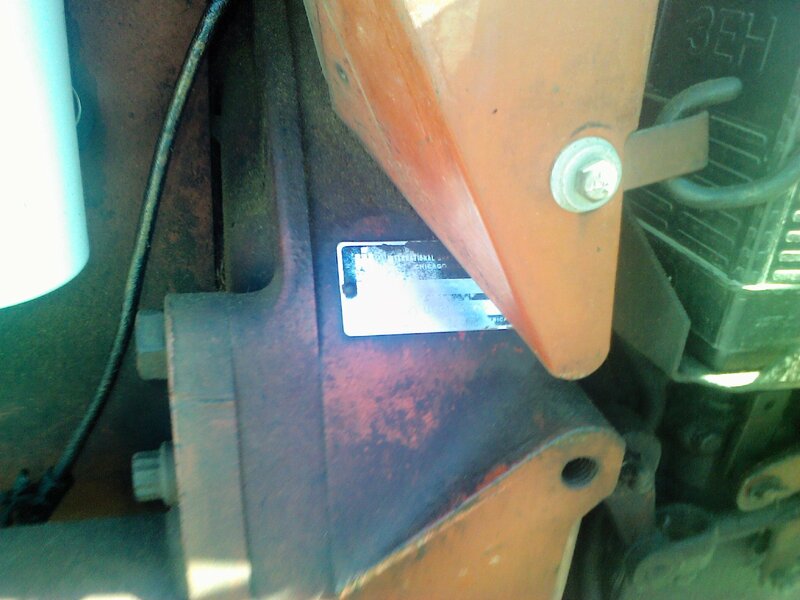 Should have serial number down by hydraulic filter on right side instead on left side of flywheel housing. As always Thank You ! Bought it have it home in a few days . Still confused Serial number 31635 But it is on bell housing ? 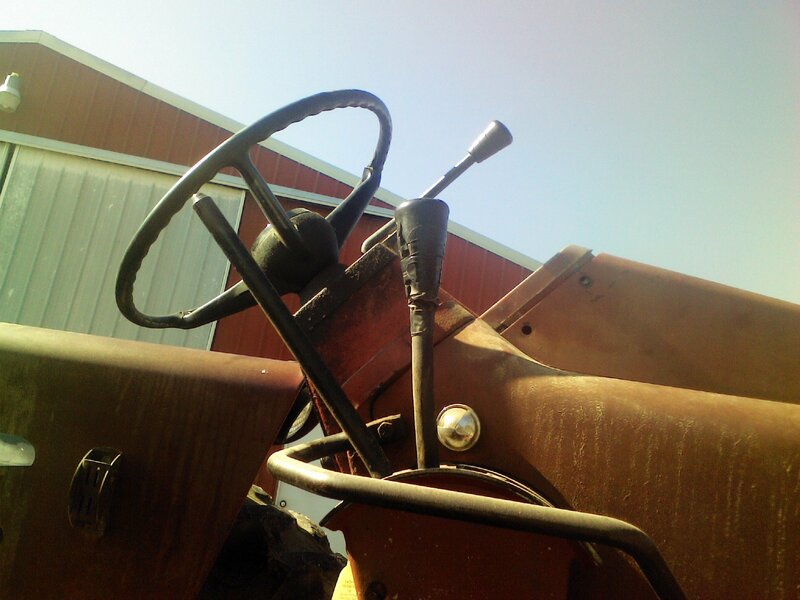 Any ideas on what I got ?Do not want to restore as a Blackstripe unless sure it is one .Story is a family tractor untouched , been on a small horse farm last 26 years on manure spreader Rowcropped until then same family.Whatcha think ? It is a true black stripe. It would be a fake pre-black stripe by the serial number. Contrary to popular belief, black stripes started in 1975 and the serial tag was still on the bell housing. Just like with previous models IH used up their stock of existing parts before moving on to the updated parts, so there is a transition where the black stripe features slowly appeared on the tractors. That was mostly in late 1975. The only thing you can REALLY go by is the serial number. Parts could have been swapped out at any time, like your TA handle for example. Youre gonna beat you head against the wall trying to prove its a legit black stripe to those who dont have any attention to Detail. Its a legit black stripe 966. 766, 966 and hydro 100 black stripes didnt have the Square 3pt screw housings since they were CAT II hitches. They still had the round. I have yet to see a late 766 or 966 with square 3pt housings. Now the 1066s and bigger had them starting in mid- late '75 right before black stripes came out in Nov of '75. The black levers started in '74. I have a '75 1066 black stripe and '76 1066 black stripe. Even though S/N tag is on bell housing theyll be a blank plate spot on side of transmission. If it ain't it's the oldest resto of one ever! Redo her either way....be nice all fixed up. I never was a Black Strip fan (rare rare locally) till joining here. Then I liked em. Then i seen Lorenzo's and now feel the urge to own one! Thanks guys she go back black stripe !The 7 and 10 get a friend . Nice pic, sweet looking tractors. I have always loved the look of those tractors. Get that 9 looking like the other two. Then get a 1466, 1566 and hydro 100 black stripe and then you could have the full series of black stripes. Thanks we do have a 14 blackstripe it has a cab thats just to nice ditch . Thanks for catching that hammer. Good luck finding one. I understand that there were less than 100 made and most of them went to Australia or New Zealand. I know a few are around, but not many. Still agree that a 1568 would be a nice addition to a collection. Some could have been scrapped because of the V8’s failing I have heard that being a reason. According to tractordata there were 862 1568’s built between 1974-1976. I would believe less than 100 black stripes were built. 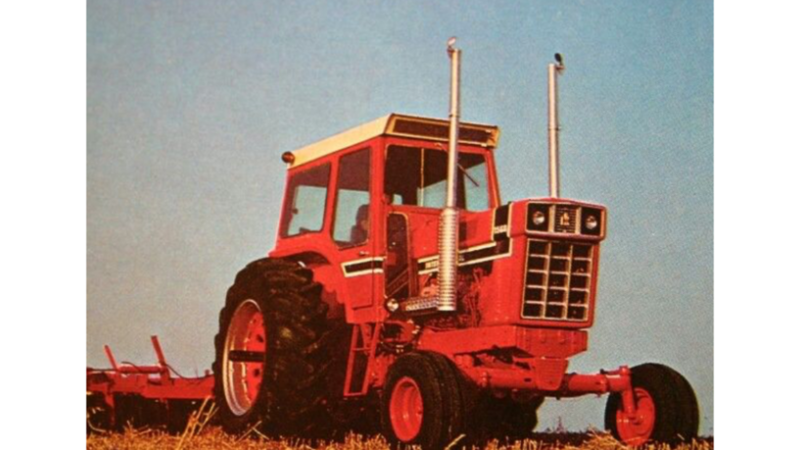 I just looked at tractor house there is a 1568 “Blackstripe” restored with ROPS and a M&W twin turbo setup. Asking price is 65,000!